I finally got a chance to ride the Mavic Cosmic Pro SL wheels that we've sold so many of here at Bespoke. 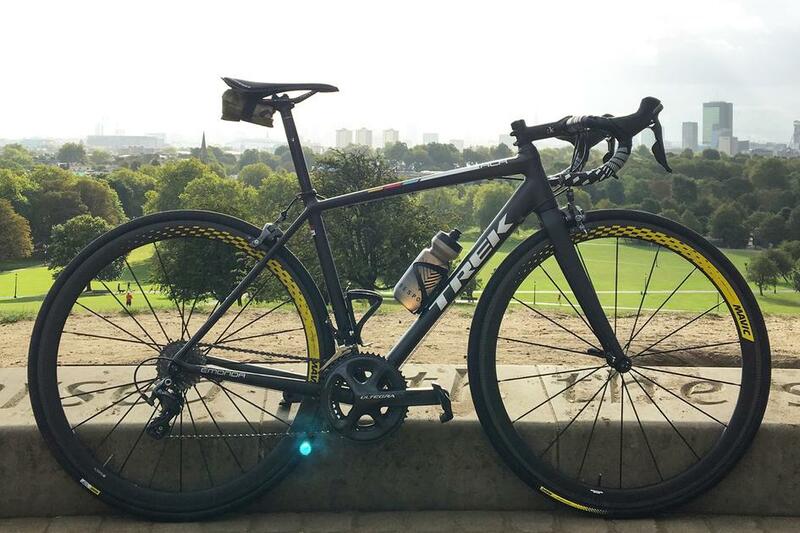 I took off my Dura Ace C24s and stuck them on my Trek Émonda ALR. First thing I noticed was how wide they are! Had to radically adjust the rear brake to accommodate the 25mm width. Being so stiff, they accelerate rapidly. If you put the effort in they reward you immediately. Riding along you feel that you are getting a little extra speed for minimal effort. When out of the saddle you KNOW that they are reacting to the power you put down. It felt to me like they really came alive at around 40kmh, that seemed to be their sweet spot where they really sprang to life, feeling really lively and light, maintaining speed well. I tried some climbing with them, and they didn't feel cumbersome in the slightest, and if you push yourself they reward out of the saddle efforts - the stiffness was clearly apparent. Descending they felt very fast and stable, though I have to say the tyres felt like a weak link. 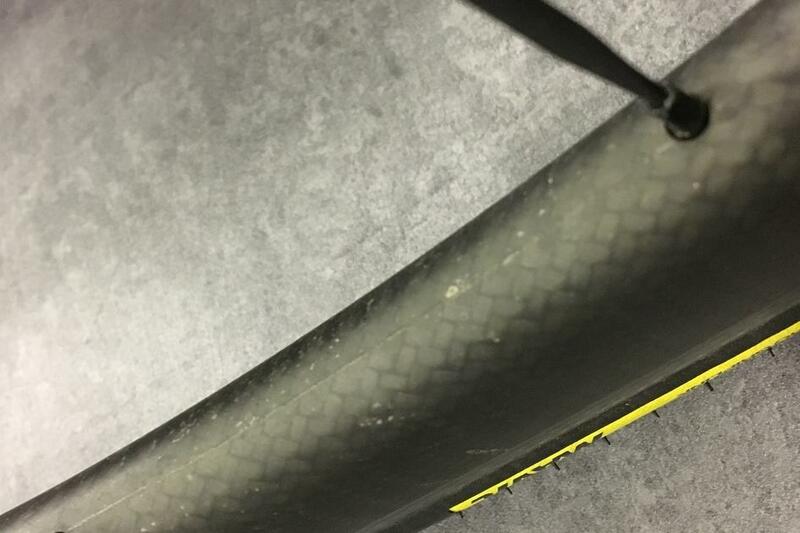 I really didn't feel like they offered anywhere near the grip of Continental GP4000 II or Vittoria Corsa Graphene +, and they significantly reduced my confidence in the corners. The braking surface is laser treated. Can't see anything, but it certainly works very well. During my test the weather turned from sunny and bright to torrential rain. The braking in the dry was comparable with my alloy rims. In the wet the braking changed quite radically, but was still effective. Much the same as you need to ride with more care in the rain with alloy rims, leaving extra time for braking, riding with more awareness, the same applies to these Cosmics. There's no denying that the braking was compromised in the wet, but they did still brake effectively, albeit with a slower reaction time. All equipment has limits and clearly rain and carbon rims don't mix particularly well. The Mavics offer the best braking in the wet currently available. Rim brakes have their limits and you ride within those limits in the rain. Note the new more rounded wider profile. I rode them in some fairly windy conditions, (windspeed around 30kmh with gusts to 45kmh), and I honestly felt no difference between them and my C24s. If anything I maybe felt a bit more stable. I weigh under 65kg, so that was very unexpected. 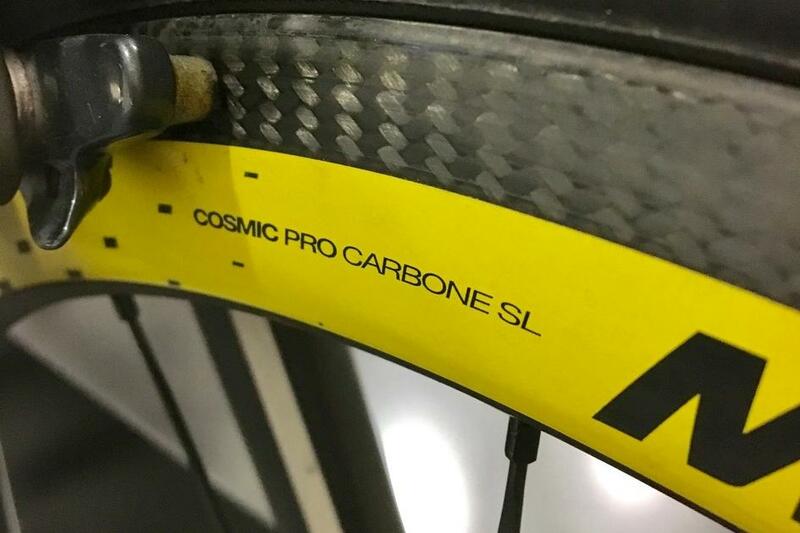 Overall the Mavic Cosmic Pro Carbon SL feel like an upgrade. The kind of upgrade where you 100% notice a valuable difference. The stiffness delivers extra speed, putting your efforts directly through the wheels and into the road. Like all upgrades and pricey bits of kit, they work best when you put the effort in. I feel that strong riders will get the most benefit from them: riding over 40kmh for extended periods, climbing out of the saddle and descending hard, the Cosmics come into their own and pay back your effort. That said, they don't hinder less hard efforts. I'd definitely buy a set, it's as simple as that. They represent good value in comparison to other similar wheels and the braking is very effective. I wouldn't ride them as winter training wheels, but then I'm not sure who would; That's not what they're for. If you are looking for solid, relatively light (1450g), carbon wheels, I'd recommend checking them out. 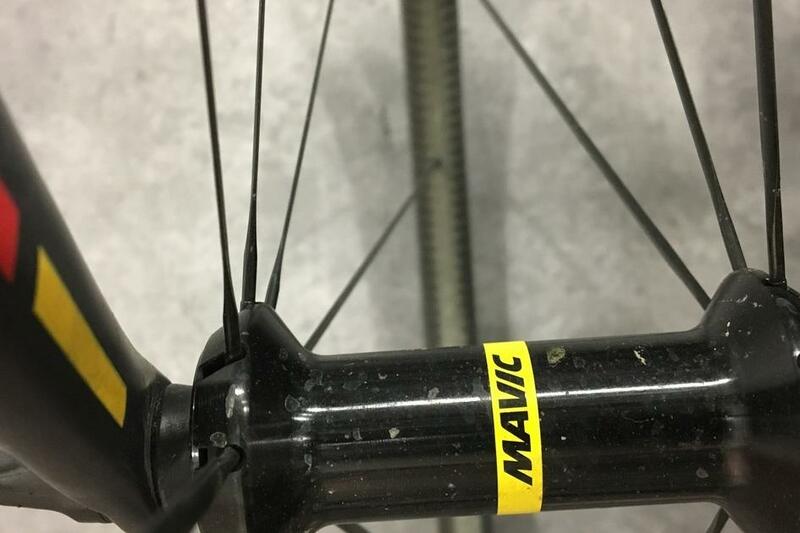 The Mavic Cosmic Carbon Pro SL wheelset, including tubes and tyres, is available now at £1,600.00. Note: The yellow graphic is only on the test wheels.